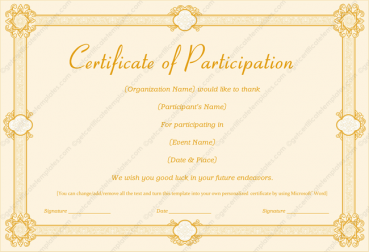 There are not always enough prizes to give away, and while the best one might get something more than an award, the rest of the kids who participated should at least earn something for their efforts. 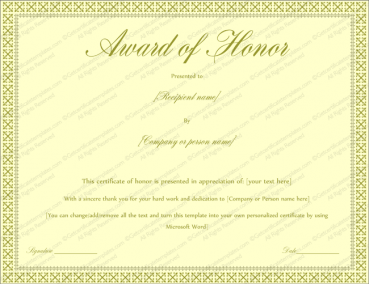 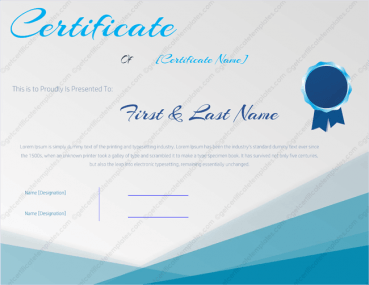 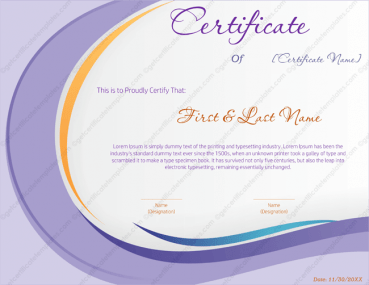 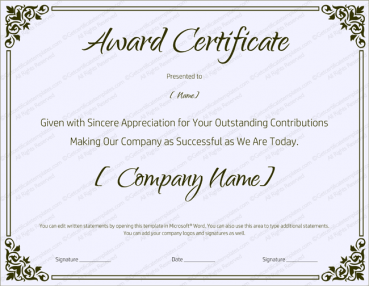 With this award certificate template you can give an award to everyone who dresses up in costume. 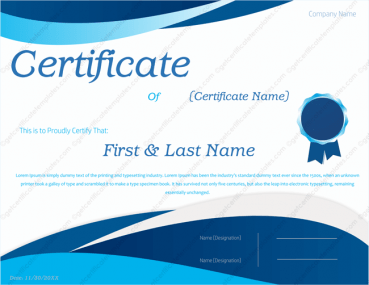 This will encourage all the students to do their best and participate in the fun spirit of the holiday. 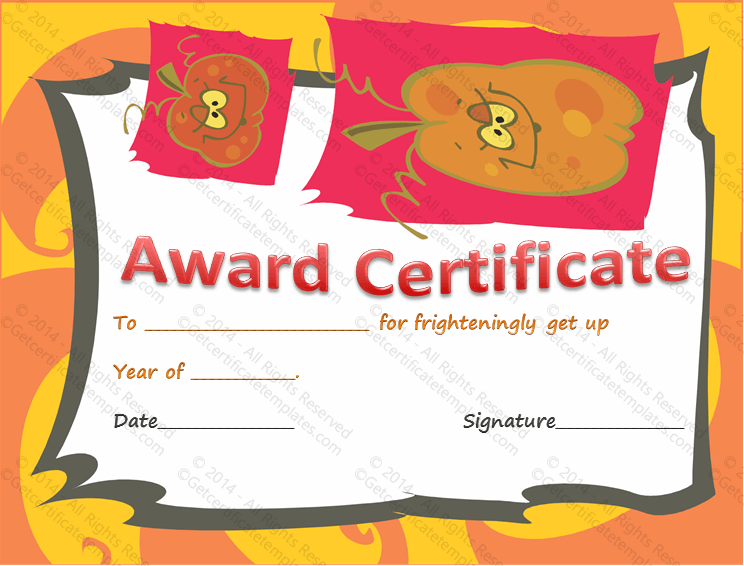 And this Halloween award certificate template is easy to use. 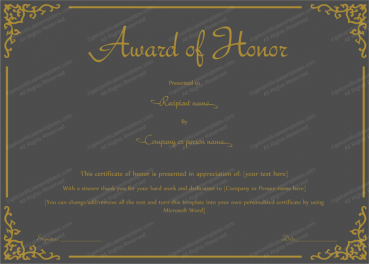 You can change the text, color and font all with a click of the mouse, and make them fit your needs for your event. 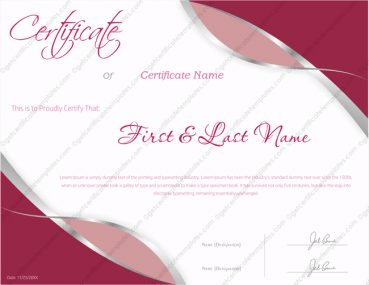 And the best part is that they can be reused as needed, since it is easy to download and can be stored in your computer. 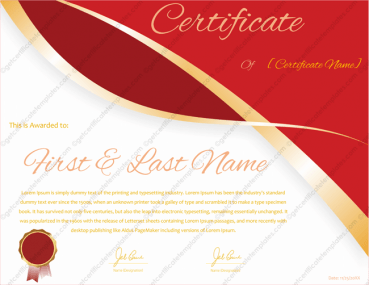 It prints from any printer allowing you easy access to them when you need them.